Before Euro 2008 got underway, Nike went all retro. New versions of the Mercurial Vapor IV, T90 Laser II and Tiempo football boots were brought out in a brown colourway, their inspiration taken from the type of boots that were worn in Switzerland when the country last hosted a major football tournament, the 1954 World Cup. 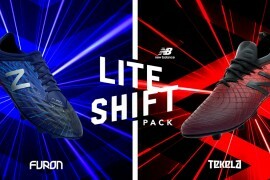 The new look football boots have been show cased, amongst others, by Franck Ribery in his Nike Mercurial Vapor IV’s, Gennaro Gattuso, Fernando Torres and Florent Malouda in the Nike T90 Laser II football boots and Ruud Van Nistlerooy and Andrea Pirlo who all wear the Nike Tiempo. However one or two players including Cesc Fabregas, who was due to wear the brown Nike Tiempo have reverted to their old colour boots. Sensing a major bust up, Footy Boots also decided to go Old School, stuck on a Private Dicks Fedora and went all ‘Maltese Falcon’ to uncover the truth. After chasing through the streets of Oregon in a classic Studebaker, chatting up peroxide blondes in bars, chewing gum and smoking heavily in an aggressive manner, our investigations turned up a massive scandal that will shake the football boot market to the core. Well, actually it didn’t. But you’ve got to justify your daily expenses somehow. Nike, it seems, are more than happy with a few individuals going their own way. 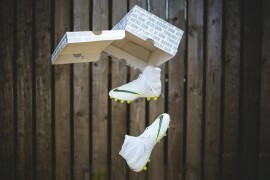 Talking exclusively to Footy Boots in a little known Speakeasy a Nike representative told us: “As footballers around the world know, especially the readers of Footy-Boots, getting in the right pair of boots is vital to performance. 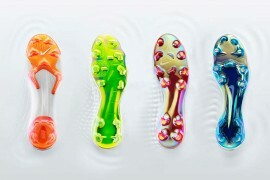 Some players will have a special affinity with a pair or will want to wear a certain colour for superstitious or aesthetic reasons. 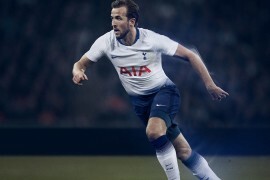 We’re committed to helping every footballer take their game to the next level and we work with all our players to ensure that they are totally happy with their boots”.